Isn’t it funny how the smallest, most insignificant household squabbles can tear families apart? Well you’ll be happy – and pretty surprised – to know that one of the oldest “couple arguments” of all has been settled. Even if you use the same settings each time, the wash cycle is very different depending on what’s inside the dishwasher. During the pre-wash cycle, this sensor is checking how much “loose” food like sauce or crumbs is floating around in the machine, and what it finds is important to getting your dishes clean. Why does that matter? 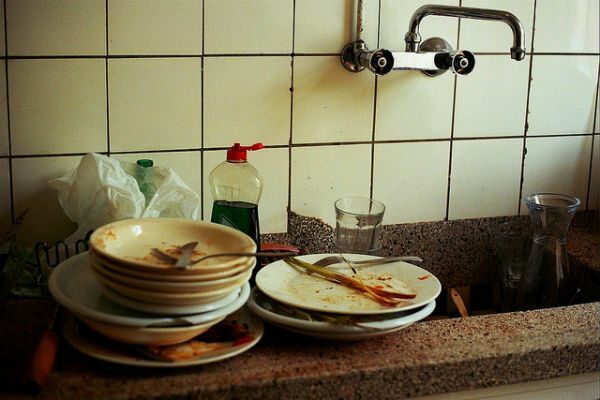 After all, less food left on your dishes means they’ll be easier to clean, right? Not always. Say you have a machine full of rinsed plates but also one cheese-crusted casserole dish. Because there was almost no loose food, the dishwasher’s sensor may not be prepared to clean that dried food off. 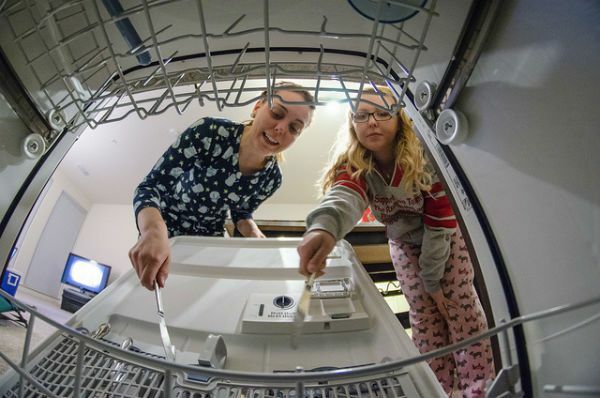 I know leaving dirty plates in the machine can be stressful – especially if you grew up cleaning them nightly, like I did – but the machine can handle it. 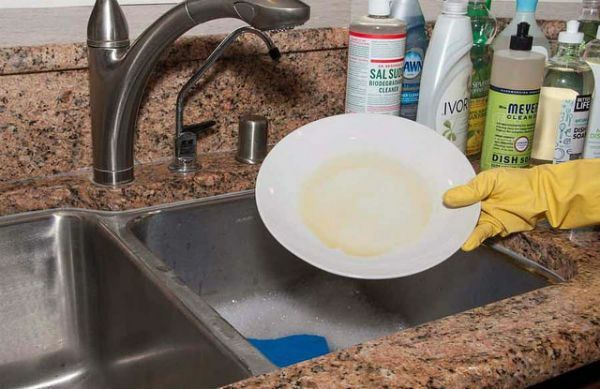 You’re not just saving time this way, but money and water too: without pre-rinsing the dishes you save about 20 gallons per load. 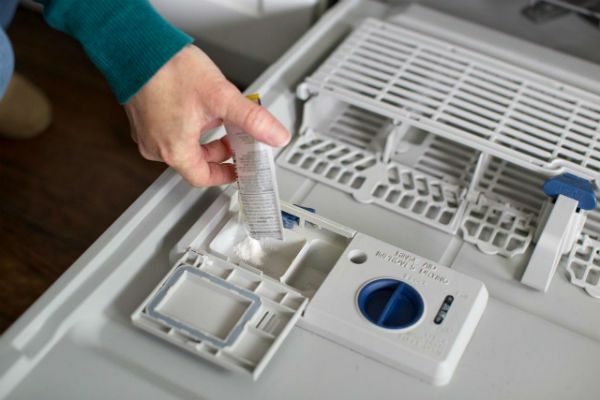 Letting your dishwasher do all the hard work is convenient. But you’ll need to back it up by cleaning it thoroughly. Along with the crumbs and food they wash off, these machines get clogged by soap scum. If you’re not cleaning out the machine once a month, it can become a breeding ground for germs.